France’s entry into the American War of Independence was to prove a critical factor is assuring the survival of the United States. It did so by winning the only strategically-significant victory in all French naval history – that off the Virginia Capes in 1781, which starved British forces at Yorktown of supplies and made their surrender unavoidable. The unforeseen cost to the French monarchy of supporting this upstart republic founded on democratic principles was however to be enormous. French officers returned from America with the conviction that France’s governmental system was rotten and unsustainable. 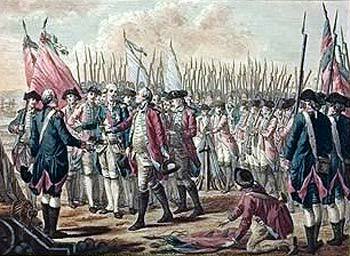 Once that fact was widely recognised revolution was inevitable and the whole bloody process would commence in 1789. 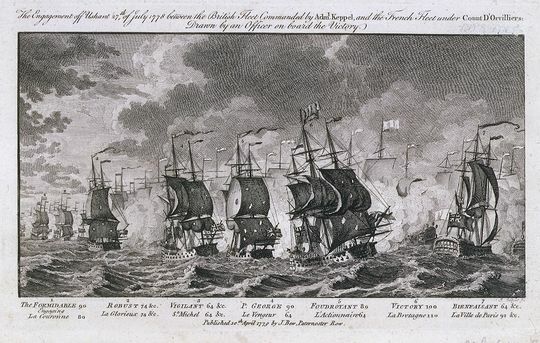 The opening event in the process, the Battle of Ushant 1778, was to have a farcical aftermath and be the first step towards the guillotine for one of the main players, and to the throne of France for his son. The driver for French involvement in the war was the adage that “My enemy’s enemy is my friend” (an often-dangerous assumption, as it was in this case) and the objective was to strike at Britain, the old enemy with which she had fought a long sequence of wars over the previous century. France’s supply of arms to the American rebels and her formal recognition of the United States in February 1778 made it inevitable that Britain would declare war on France in the following month. The initial confrontations had to be naval, since control of sea routes to and from North America was essential for both sides. France possessed a fleet in the Mediterranean and a second, based at Brest in Brittany to operate in Atlantic and Channel waters. An important strategic decision was the Britain’s commitment to concentrating its resources in the Channel Fleet so as to blockade French forces at Brest. By doing so, attacks on merchant shipping to and from Britain, and any French attempt at mounting an invasion, could be countered. The situation changed however when a French naval force slipped out of the Mediterranean and headed for the Americas. There was no option but to detach forces from the Channel Fleet to follow this force. This still left the French and British navies in rough numeric balance in and off Brest and made a French break-out more feasible. The Royal Navy’s Channel Fleet was commanded by Admiral Augustus Keppel (1725 – 1786), who can be described as competent but not brilliant. 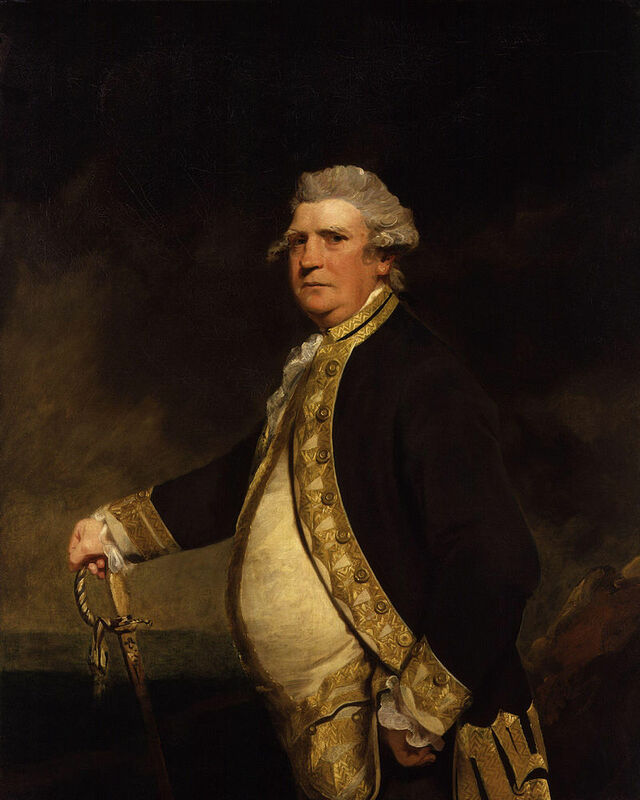 Like many officers of the era he had a parallel political career as a Member of Parliament and bad blood existed between him, as committed Whig, and the First Lord of the Admiralty, the Navy’s professional head and a dedicated member of the opposing group known as “The King’s Friends”. The depth of bitterness was such that Keppel feared that the First Lord would be glad for him to be defeated. Further bad feeling existed between Keppel and one of his subordinate admirals, Sir Hugh Palliser (1723–1796), another politically active officer and previously a member of the Admiralty Board, which Keppel blamed for the running down of the Royal Navy in the aftermath of the Seven Years War. These personal enmities did not bode well for mutual trust and cooperation in the heat of battle. The clash – the first major naval action of the war – came on 23rd July some 100 miles west of Ushant, a small island off the coast of Brittany. The numbers of ships on both sides were large and all but equal. 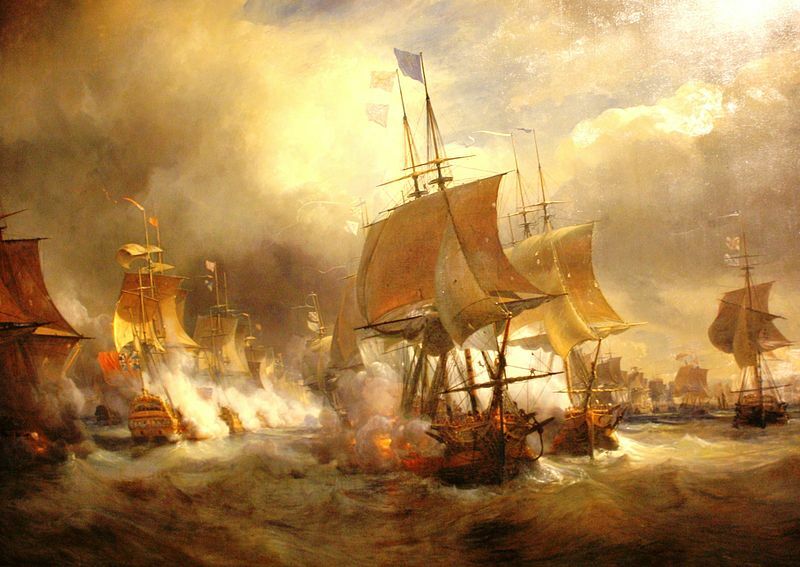 The British force consisted of 29 ships–of-the-line and faced 30 similar French ships and two smaller ones. The French held the weather-gage – that is, they were upwind of their opponents, a usually critical advantage in the age of Sail – but this was largely nullified by the orders given to the French commander, Admiral Comte d’Orvilliers (1708 – 1792) to avoid battle. (The concept of “a fleet in being” had existed since the late 17th Century). The result was to pit two fleets against each other, one of which had a less than unified command while the other was commanded by an admiral who was instructed not to fight. Shifting winds and a heavy rain squall made weather conditions unfavourable as the British force manoeuvred to bring itself parallel to the French and on the same course, while maintaining a less-than perfect column – inevitable under the circumstances. The French objective was however to be escape rather than give battle. Wearing – a reversal of course – brought the French on an opposite course and still to windward. Fire was opened and the head of the British column – led by HMS Victory, whose greatest triumph was still 27 years in the future – sustained little damage but the rearmost division, commanded by Admiral Palliser, was battered more heavily as the French passed. Keppel signalled for the British column to wear so as to follow the French. For whatever reason, Palliser to not comply. The result was that the French fleet escaped. Neither side had lost a ship but the butcher’s bill was heavy nonetheless. The British lost 407 men killed and 789 wounded while the corresponding figures for the French were 126 and 413. Bitter recriminations followed on both sides. Keppel praised Palliser in his official report but staged a campaign against him with the support of the Whig press. Palliser responded in kind such that both men all but accused each other of treason. This led to both Keppel and Palliser being court-martialled, both being acquitted, though Palliser was censured. Keppel’s political cronies ensured that he became in due course an undistinguished First Lord of the Admiralty while Palliser’s career continued with no great distinction. The whole affair had done nothing for the morale of the service or for the good of the country. The aftermath of the battle on the French side had more of farce than drama about it. 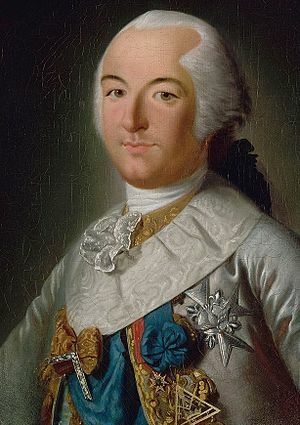 One of the officers serving in d’Orvilliers’ fleet was Louis Philippe d’Orléans, Duc de Chatres (1747 – 1793), who belonged to a junior branch of the Bourbon family and thus a relative of the reigning King Louis XVI. He was to be better known to history as “Philippe Égalité” but that lay in the future when he was despatched to the Palace of Versailles with news of the battle. He arrived in the early morning hours, had the king woken, and provided a highly coloured account that represented the action as a French victory. The news spread and when Louis Philippe attended the opera he was greeted with a twenty-minute standing ovation. This was followed up by burning of Keppel’s effigy in the garden of Louis Philippe’s home in the Palais Royale. Glowing with pride after this reception, he returned to Brest only to find that more accurate accounts were now being issued which made it very plain that there had been no victory. Deeply embarrassed, and quickly made a figure of ridicule, he had no option but to resign from the navy. He succeeded to the title of Duc d’Orleans in 1785 and was now next in line to succeed to the throne should the direct royal line die out. He thereafter got embroiled in bitter enmity and mutual loathing with Queen Marie-Antoinette, she regarding him as treacherous and hypocritical, and he regarding her as frivolous and extravagant. (Both assessments were essentially correct). In the years leading up to the revolution that would break out in 1789 d’Orleans allied himself with the movement for reform, reinforcing the anti-royalist image he had had for some time. This might be regarded as an early example of “radical chic” and d’Orleans made his residence, the Palais Royale, available for meetings of the extremist Jacobin Club. He gained sufficient popularity that when the Paris mob invaded the Palace of Versailles in October 1789 the cry was heard of “Long live our King d’Orléans!” In the four years of revolution that followed, a bewildering period of upheaval and shifting alliances, d’Orleans renounced his titles to become Citizen Philippe Égalité (Equality) and a member of the Constituent Assembly. 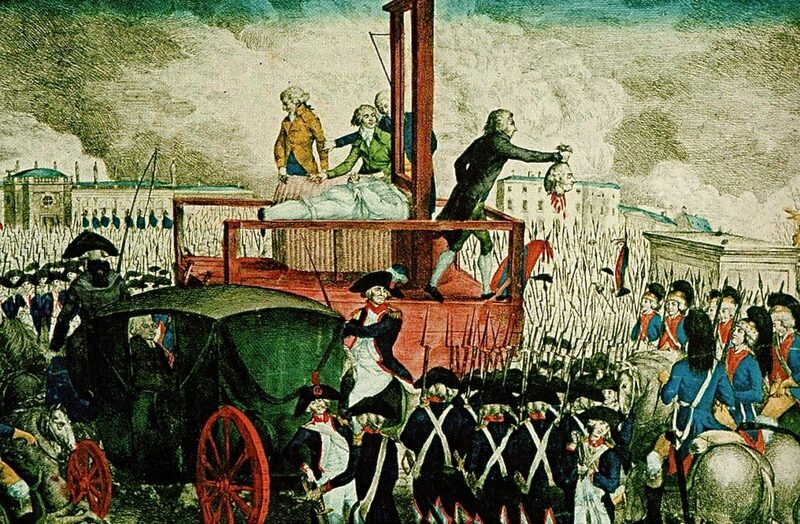 When King Louis XVI was put on trial for his life in January 1793, Philippe Égalité was to vote for his execution. For all his identification with republican ideals, Philippe Égalité was not however to survive long in the snake-pit of revolutionary turmoil. As the Reign of Terror took hold he was to be another of those consumed by the revolution they had brought about. He went to the guillotine in November 1793, doing so however with a dignity and calmness that did him credit. Philippe Égalité, had he lived to know it, had the last laugh. 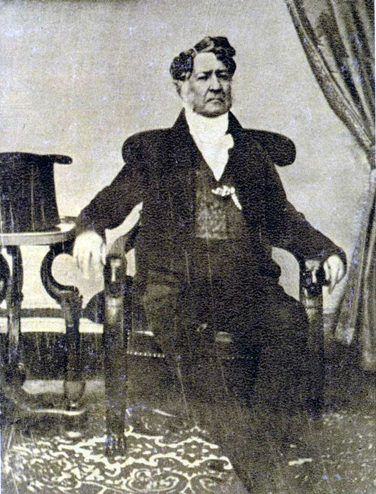 The Second French Revolution, in 1830, brought his son (1773 – 1850) to the throne as King Louis-Philippe I, who reigned as “The Citizen King” for eighteen years until a Third Revolution, in 1848, deposed him. He lived out his last years once again in exile in England, where he had previously spent the years 1793-1815. His daughter Louise married Leopold, first King of the Belgians in 1832, so that Philippe Égalité’s bloodline runs on today through the monarch who reigns today in Brussels. It all seems far removed from the farcical aftermath of the Battle of Ushant 1778. One wonders however whether the 533 men killed and the hundreds wounded in it would have appreciated the ironies. Free short stories, available only to those on the list, are also made available at intervals.